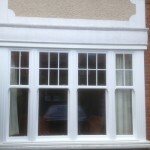 Looking for practical and pretty replacement sash, casement or vertical sliders in Raynes Park? 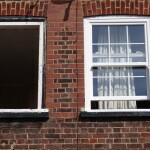 Replacing the windows in your home is a big decision and we understand how daunting it can be. Here at Merton Windows, we are glazing specialists with decades of experience installing uPVC, timber and aluminium windows in Raynes Park, Motspur Park and the surrounding regions of London, Surrey and the South East. 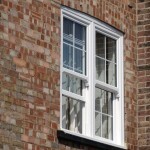 Whether you want new sash windows, replacement casement windows, tilt and turn windows or double and triple glazing, we can help at every stage of the process, from making those all-important decisions, through to installation of your new windows. We are a family-run business that was recently taken over by Hamilton Windows, bringing even more knowledge and expertise to our little team. Our business is founded on trust, excellence and personal recommendations from happy customers. We love what we do and pride ourselves on offering an exceptional service. 0208 542 2233 or email us at [email protected] and we will get straight back to you. Casement windows: These are a classic choice that look good on almost any home, from minimalist modern houses to more traditional country abodes. They are hinged at the side or top and can be made from uPVC, aluminium or wood. Sash windows: Sliding sash windows preserve the character of your property, without any of the maintenance issues and draughts. Again, these box sash windows are available in a choice of materials and have slick fittings, bolted locks for enhanced security and are energy efficient, so will save you pennies on your heating bills. 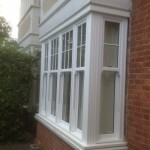 Sash windows and sash double glazing continues to be one of our most requested glazing options. Triple glazing: Our triple glazed windows are some of the best high performance windows available in the UK. If you are in a noisy area and want to reduce noise pollution, the Argon gas between the three layers of glass absorb vibrations and the extra pane itself acts as an extra barrier to the outside world. They offer the benefits of double glazing and make homes warmer, quieter, more energy efficient, more secure and are virtually maintenance free. 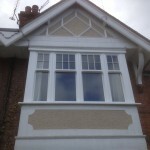 What are French windows and will they suit my Raynes Park home? French windows open outwards like French doors, offering an unspoilt view that is not broken by a central vertical frame. The result gives uninterrupted views and improved airflow. 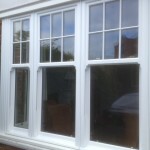 These windows are ideal for the summer months and when you want to bring the great outdoors into your home. Call us today on 0208 542 2233 or get in touch by emailing [email protected] or by filling out an online contact form.